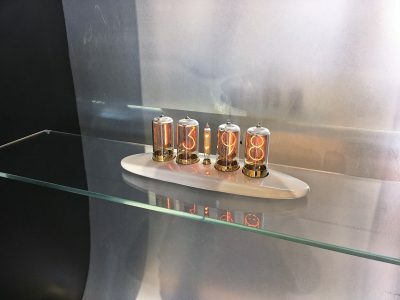 I started development of Puri Nixie Clock in August 2017, more than a year ago. In october 2018, it was finally released. 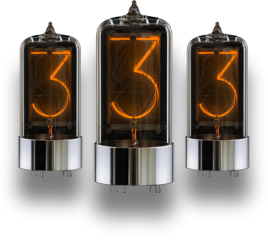 As usual with new products, the initial idea for Puri came as an improvement for Zen Nixie Clock. Don’t take me wrong, I really like Zen clock and it will always have a special place in history of our business – it was a product which allow us to take off the ground. In 2015 when I started working on Zen clock, I was in doubts whether customers will like our clock. 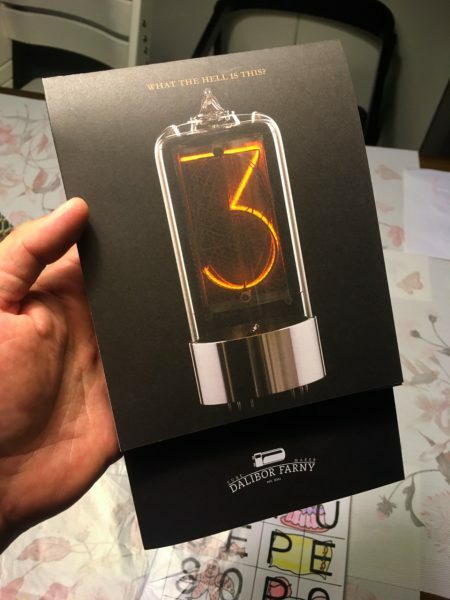 I designed a minimalistic clock with a slightly steampunkish elements (the electronics board visible, golden legs etc..), I also made a survey among our customers and implemented almost all features they asked for – just to avoid breaking a deal because lack of a feature. LED underlight, glass cover, seconds position.. I was brave enough just to refuse implementing thermometer, alarm and some other functions which I think are not necessary for display clock. The demand for Zen clock made me really surprised, and since its release, it has kept us busy. In 2017 I got an idea to design a clock based on my taste only, no surveys, no polls, no ideas from others. So I started laying out first concepts.. 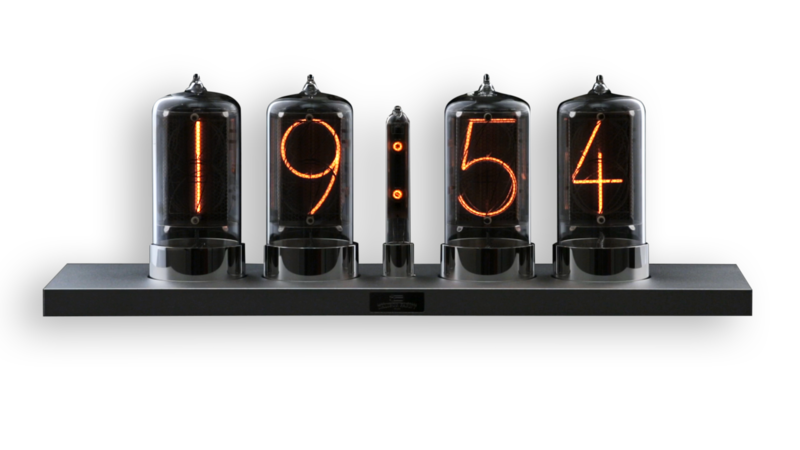 It must be a 4-tube clock – I know, I know, it lacks the dynamic effect of constantly rolling seconds.. The advantage of a 4-tube clock is that it has the time format we are all used to from all other digital clocks, so you really get used to this clock very soon and it quickly becomes your primary source where to look for time. 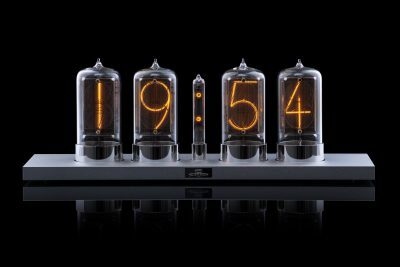 It has also kind of soothing effect, just glowing digits, transitioning from time to time only as the minutes changes.. Another feature – no LEDs, I like the effect of LEDs when they are set to same color as nixie tubes, but can’t withstand our clock being lit with blue light. I never got used to it. LEDs also turned out to be very unreliable (the WS2812 type), there is no good alternative for them, altogether I decided to remove them completely. Sure, it can be solved, but I want to spend my time researching vacuum tube technology, not what type of LEDs to use, thats waste of time. I also removed the glass cover. 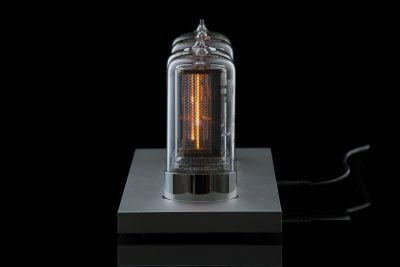 The tubes are not so fragile as they look, no worries.. Glass is more practical, but the naked tubes are sooo much more beautiful – just extend your hand.. Last modification was to remove all visually distinctive elements – leaving just thin metal case, thats it – all focus being on the tubes. Nothing else is necessary. Designblok is an annual fair which takes place in Prague and is focused on blend of design and art. It is the top class event of this type in Czech Republic and I thought presenting our work there might be great experience. The fee to attend this fair was 60 000 CZK (USD $2,620), my quick and rough estimation of the costs on top of that fee was around 100 000 CZK ($4,400 USD). Quite high price, but we spend almost nothing for marketing and every company should do marketing. I personally consider showing our product and meeting people a good way how to do that task. And there is a chance we will get new customers from the audience, the estimation was 50 000 visitors (the reality was 50 550), people interested in design and art. Another reason to exhibit there is to leave online environment for a while and see what offline world can bring to us – possible new business opportunities, new projects etc.. Seems like lot of new experience to get there! To get real and live feedback from people which visit the fair with intention to see design/art. To learn about the process of organizing such exhibition. To leave door open for possible business cooperation (clock makers, interior designers, architects, art people etc..). 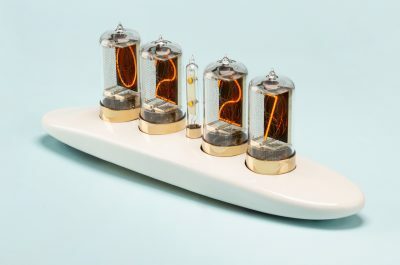 Feedback from People – I could again confirm the enchanting power of nixie tubes, vast majority of visitors had never seen a nixie tube.. These people could stare into the glow for long minutes 🙂 We have great product, so many people told us they consider our stand/product the best on Designblok (for sure other exhibitors were told the same by other visitors – but it is warming anyway). 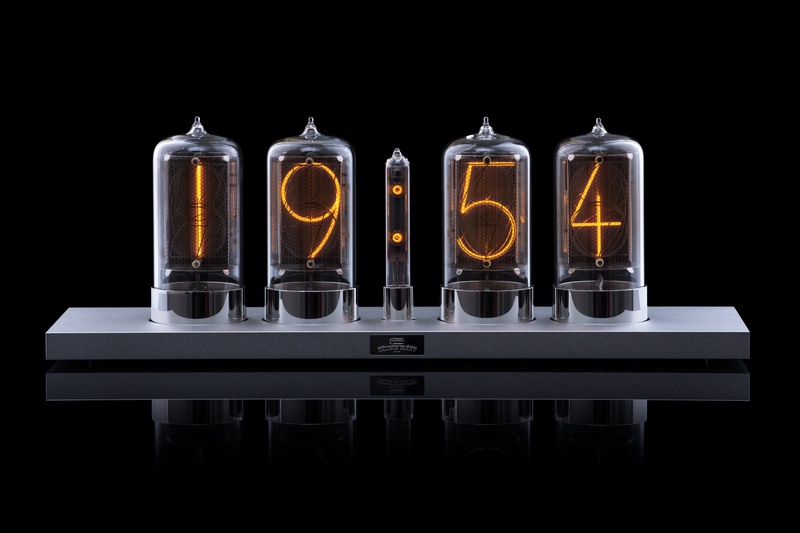 When I see people excited about nixie tubes, it always recharges my batteries and gives motivation for another work. Thank you all for that! 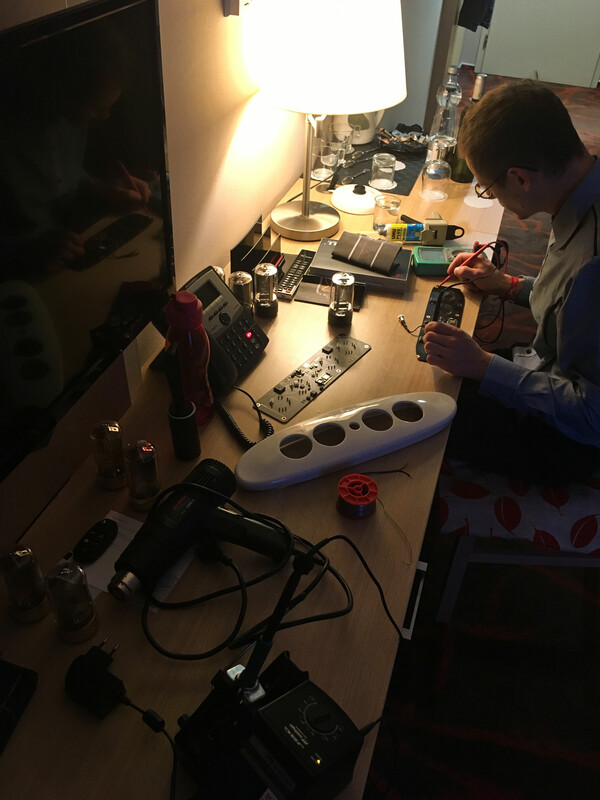 Building the stand/preparing all materials – The plan was to make classy stand, showcasing our nixie clocks in the best way possible. This turned out to be much much more demanding task than I expected. From the beginning, it was clear we need to hire a company to physically build the stand according to our design. We couldn’t do this ourselves, we are nixie clock makers! A stand design was needed, this was Adela‘s job, she already did such things before so she had experience and also knew reliable company to build the stand – great! This part went smoothly, from beginning to end with minumum input from my side. Thanks to mr. Maštalíř from A-Print for building the stand on time and in perfect quality! Building of the exhibition stand. Another task was to build printed materials. 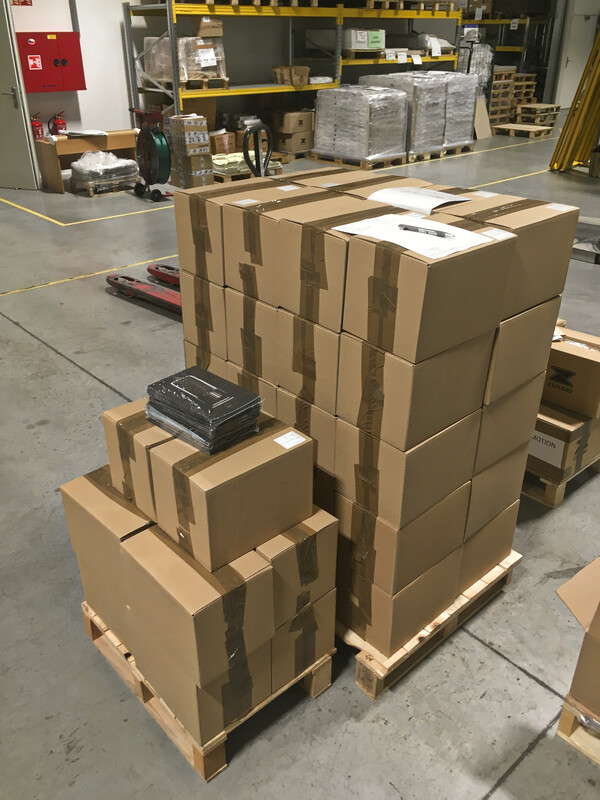 This task was organized by Creepy studio, several people worked on the flyer on their side – Lucka making the graphics and DTP, Nela taking care about all the communication between us and with printing company and making sure all is on time, Martin for helping us with texts. David (Creepy guys’ boss) overseeing the project, developing ideas about look of the flyers, paper to be used etc.. It took also lot of time on our side – I had to write texts, prepare photos and also make sure that all things in the flyer will make sense. There were plenty of issues and things to work out – for instance the flyer had large black areas next to large light areas on heavy paper and the black paint didn’t dried fast enough and tended to make stains on the light areas. In the end, the printing company had to print it twice – first the black parts and once they were dried, they made the rest. This delayed the print by almost a week. I picked up the printed material the night before leaving for Designblok, next time we need to keep some time reserve.. I was also totally shocked by volume of the boxes – two palettes – I almost didn’t get it into the car. 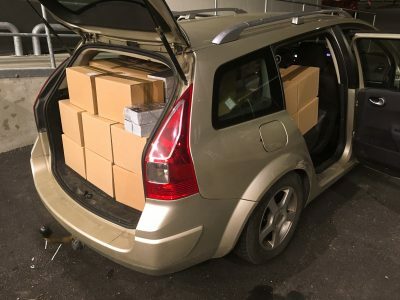 My car full of flyers.. The flyer, printed and folded. 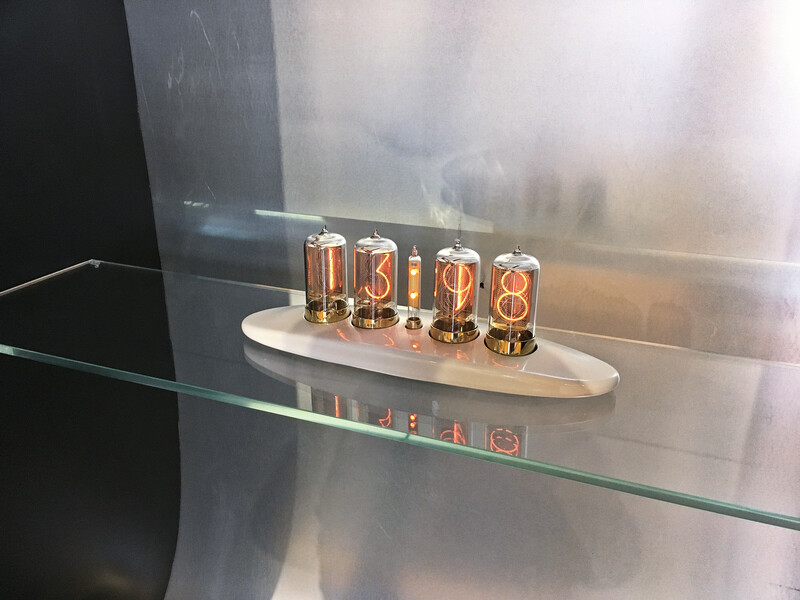 We showed three objects on our stand – the Puri Nixie Clock, which was fully developed by then, so this meant basically just taking the clock from box and placing on the shelf, easy! Another object was a prototype of Ooo clock, less technical and visually softer clock. This was quite horror as we struggled with the porcelain, it was sagging in the firing process and shrinking differently from tube layout, so we could not fit the case to the tubes.. 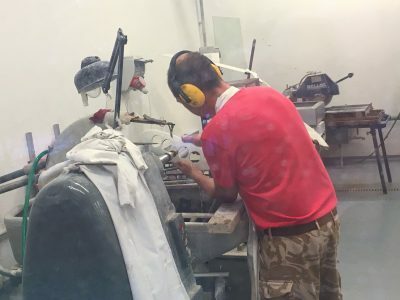 But in the end, we made it, thanks to Martin who spent countless hours in the workshop, grinding the case and just making it happen so we can introduce the clock on Designblok. Martin grinding the case to fit electronics layout. Grr, 9 stuck all the time..
Fixing a clock on hotel room. Last object we called “Heritage”, it was a pendant made of various nixie tubes manufactured in ’60s and ’70s. This part was so much appreciated by people, they liked it.. It was playful and eye-catching part, so many people took photos of the installation! 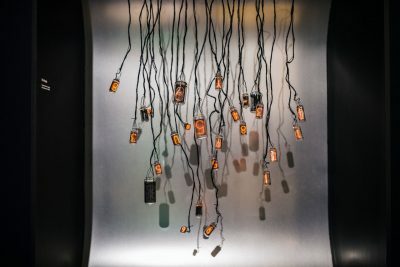 The individual tubes are driven by our modular display driver (the black board on the photo) – each of the tubes had 2-4 digits connected. The digits are controlled by serial-to-parallel shift registers, two on each of the boards, the data are sent from Particle Photon module. The overal circuit with all the wires connected made chaotic nest of wires, I hope it will not catch fire and burn down the remaing part of the Industrial Palace.. 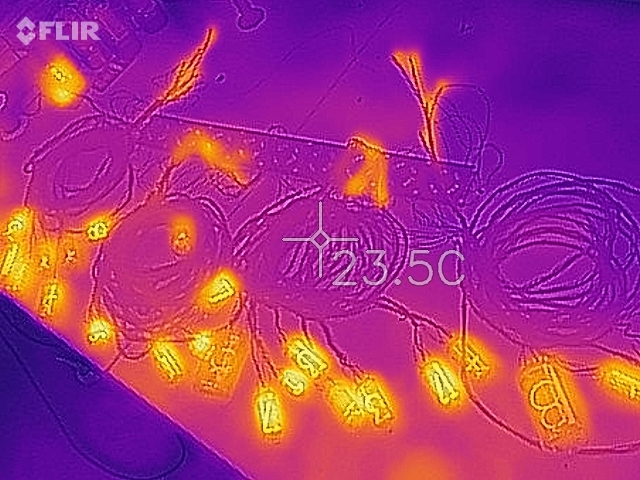 Still at our shop, I made an overnight test to make sure all is running fine, I also used a thermal camera to detect possible shorts/under-rated parts.. Surprisingly, the pendant worked like a charm all the exhibition! 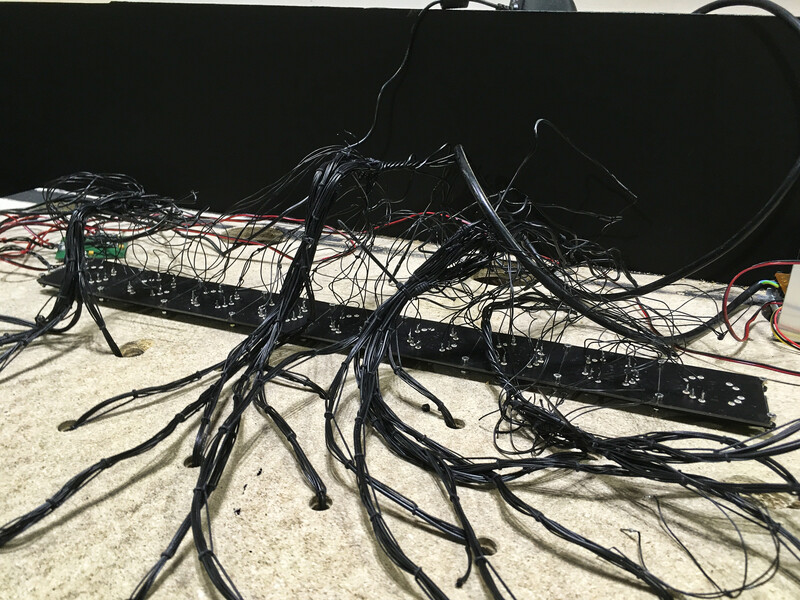 Wiring for the Heritage pendant. In the end, we got very nice stand and I am proud how it all turned out. Our stand on the Designblok 2018. 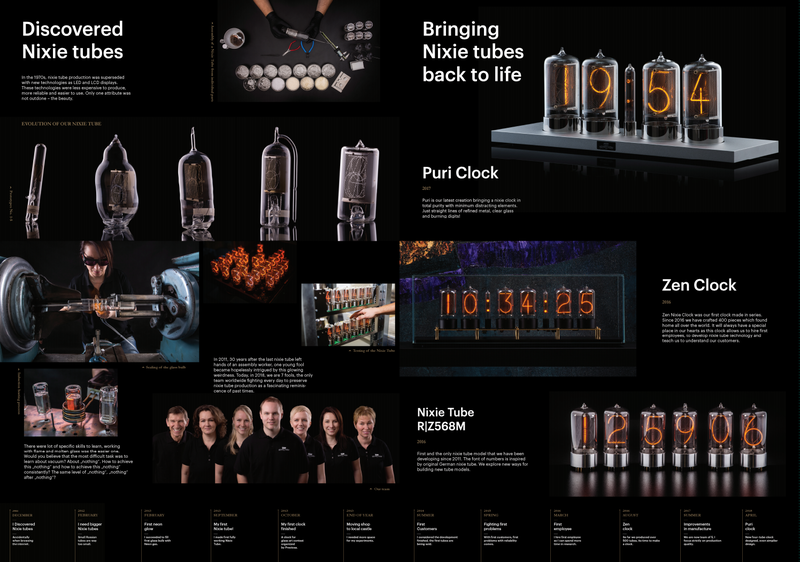 Two customers came to place an order of a single tube, they will build clocks of their own design from our tubes. Cant’t wait to see them completed 🙂 Both came just to see us, Ronald travelled from Austria! Thank you Ronald and Roman! Two orders on a Puri clock came from local customers right after Designblok, one from a lady who saw us first time on Designblok. Several visitors were really excited about purchasing a clock, some mentioned travelling hundreds kilometers just to meet me there – this is so nice, a commitment to make our stand more exciting next time. Introduce more objects to visitors who spend hours and hours in cars, make the trip worth it! Big thanks to all who came to our stand to meet us and exchange few words! A CEO of a famous local hotel visited us on the stand, very excited about our clocks. 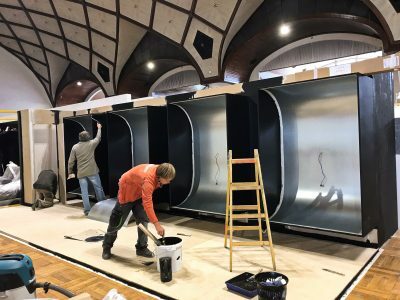 They are remodelling some of the most expensive hotel rooms and furnishing them with focus on Czech-made design. They use porcelain from oldest Czech porcelain manufacture, hand made glass from famous Czech glass manufacture. The idea is that our clocks might fit into the interior, showing another way of Czech craftsmanship. We will probably need to do a custom cases as our clocks look too technical for hotel from 17th century, but doing all that work is worth it! We have a meeting tomorrow (15 November, 2018), I can’t wait for that! Another exciting encounter was Emmanuel Plat, a Director of Merchandising at The Museum of Modern Art from New York with his coleague. They are very interested in bringing our clocks to MoMA, and I am very interested in this cooperation as well. MoMA is famous museum of modern art with long history and well curated design stores. The only issue here is the margin they need, which is higher than the profit margin we have on our current clocks. I will need to find a way how to make this happen without touching quality of our clock. Difficult task! 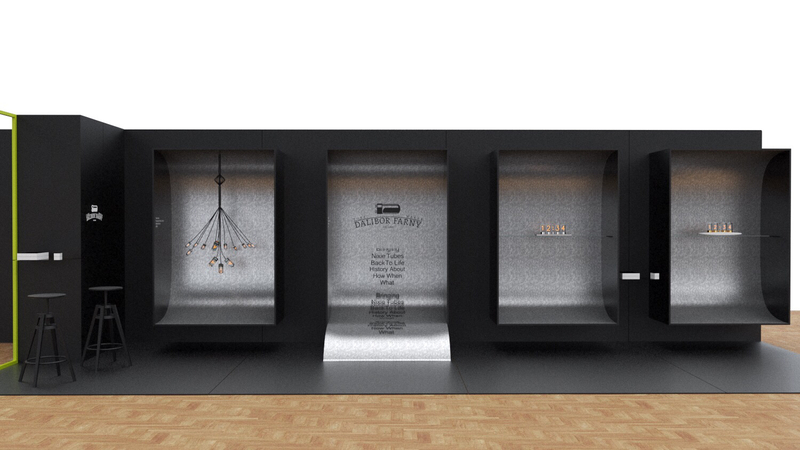 USD $2,620 (60 000 CZK) – Renting the space for the stand – Designblok fee. USD $1,250 (28 000 CZK) – Stand design, all communication with building company, fine tuning on the place. USD $3,220 (73 600 CZK) – Building of the stand, installation on the place, deinstallation, transportation to and from the place. One week of three people being present on the stand – two of them engineers. We made it. We had almost no previous experience with building a stand and organizing the exhibition, but we made it. We’ve gained lot of experience which will help us in the future with similar events. From the business point of view, our participation on Designblok was a fail. We spent over USD $11,000 on it and made sales of around $7,000.. To cover the costs of the fair, we would have to make sales over $30,000 which was unrealistic from the first moment, I knew it. But you never know before you actually try, we had to try it! Beside the sales, there are possible business opportunities – we will see how it will turn out. I will inform about it of course. Honestly, I was very frustrated after Designblok and fell into a week long depression. We burned so much cashm more than I initially expected and I am very careful about spending money. There was also no immediate benefit from this fair which would cheer me up. I need more time to make a full conclusion about it, because there might be some important consequences balancing the costs later. 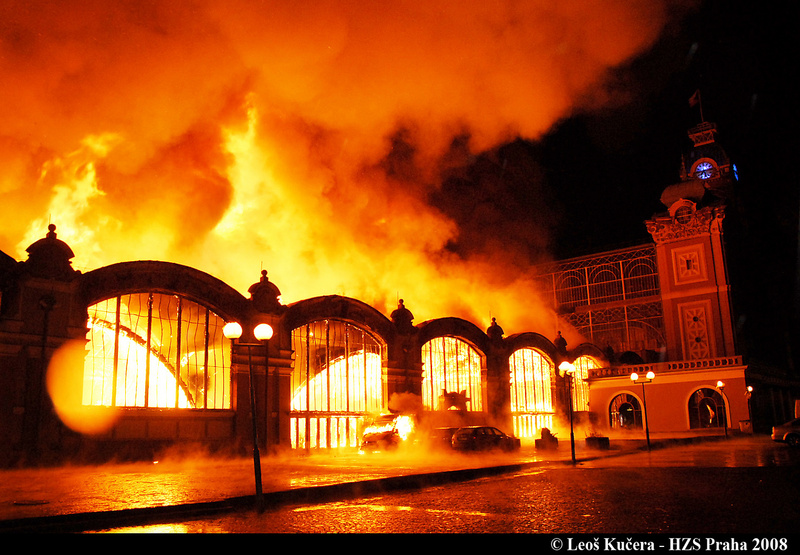 In any case, it was not a mistake, it was not a fail – it was huge experience! Lessons learned, some notes for next exhibition or for those of you who plan own exhibition..
A lot of people go through the stand, they bring lot of dust and rubbish on their shoes.. We need a broom or vacuum cleaner next time. Use carpet instead of wooden boards on the floor, the semi-glossy surface of painted wood gets dirty immediately and is very difficult to clean. Dont use the wooden floor because it is too tall and it is easy to stumble over its edge. After experience on Maker Faire where we were in two (just me and Sebastian), talking with people two days practically without a break.. We went to Designblok in 3 people – 7 days, 11 hours a day, 50,000 visitors – we expected lot of talking 🙂 In the end it turned out that visitors are mostly walking through, watching and taking photos. It was absolutely OK to be alone on the stand, but from practical reason, two are better – when you need to go for meal, toilet or just walk around to see other stands. The only printed materials we had were the flyers, we were proudly offering them to visitors which mostly took them and liked them. However, there was relatively large group of people who hesitated to take such a big piece of paper.. They either didn’t have a bag to put it, didn’t want to waste so much paper (nature..) or didn’t want to take something which looked expensive to make. Next time we need to make much lower of these big flyers and beside them make also some one-page flyers and just business cards. This makes sense, we will save costs as well. If you want to invite someone on a fair to meet you, invite him on morning. In the evening, you are going to be exhausted and too tired to make good converstaion.. That might be a pitty especially when people are travelling long distance to come to see you. 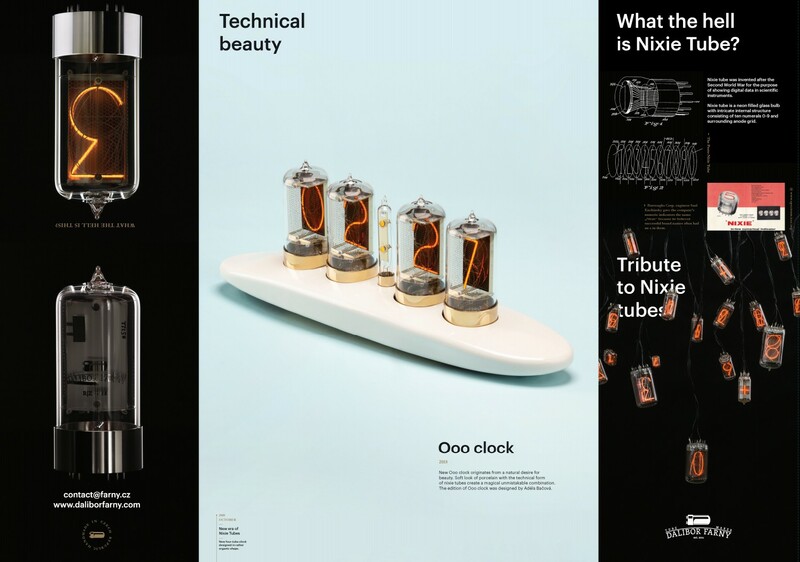 We need to design the stand differently next time, the eye-catching object (nixie tubes) must be closer to the aisle, closer to people. This way it will get more attention. Especially when you are at the stand, close to the clock/display, some people are shy to come closer and take a look at it. While Puri clock is designed without seconds tubes to be a calm, the stand must present also something dynamic – seconds in a nixie clock are pretty good for this purpose. We need slightly bigger locker for our personal things as well as flyers etc.. It is used a lot during the day, so it must be possible to organize it well. Hooks for jackets and lock on the doors so you can keep computers and other expensive stuff on place overnight. Make a wall outlet in the locker – there are phones to charge, maybe laptops etc.. When you are 11 hours on the stand, there is no other way how to charge the phones during that time..
Maybe comfortable chairs, this time we had simple Ikea stools and it wasn’t good. Again, standing 11 hours a day brings lot of back pain etc..
We need to explain the manufacture better, at least the fact that it is us who makes the nixie tubes and that we make them locally. If you have a stand on a corner, don’t block the side in the corner – leave it open so it doesn’t obstruct view to it. This way you get more visitors than when the stand has walls from both sides. I had bad feeling from the fact that we communicate all in English while exhibiting in the Czech Republic where people speak Czech. In the end, there were many foreigners and having all materials in English allowed us to talk to them as well. Nobody from Czech people complained about English. Take a black marker pen to cover scratches on black parts of the stand..
Apart from continual firmware updates, I do also some design changes on the Zen clock. The most important in recent weeks was changing a supplier of the printed circuit boards. 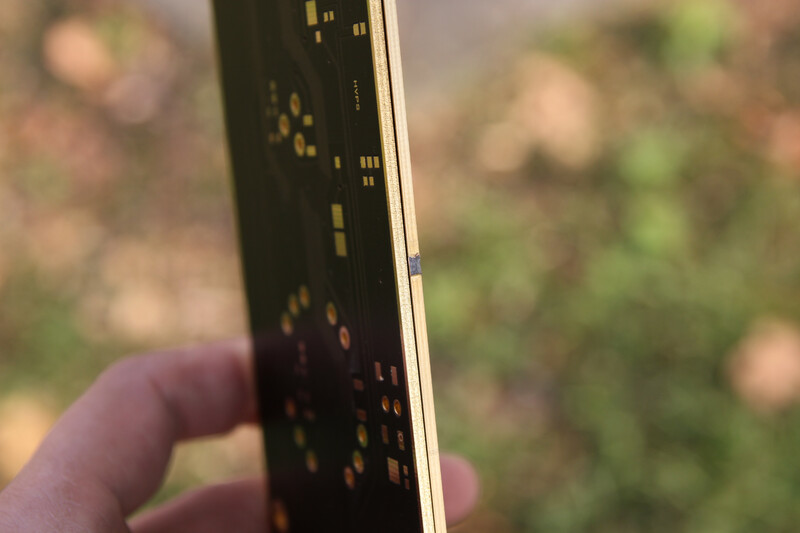 Our previous supplier used chemical gold plating, new supplier uses galvanical gold plating, which is more chemically resistant and generally stable. They are also much smaller business and it is easier to ask them for custom modifications of the boards. 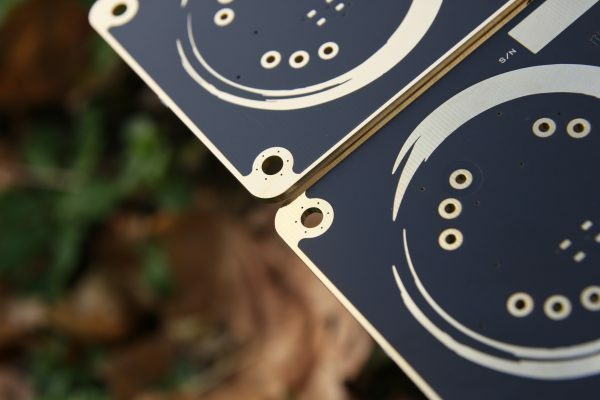 We use specific black matt solder mask, which is sooo nice – this was one of the things they had to order specifically for us. 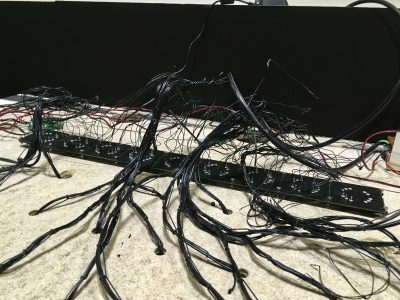 They also developed a method how to mill the boards using less connecting bridges between the board itself and the panel. This results in smaller amount of bridge marks, on the front side of the board the bridges are eliminated completely – making the front side beautifully clean. We’ve got new website – and I guess you already noticed it 🙂 This was such a big project that I will cover it in a dedicated post.